Delve into television’s most otherworldly phenomenon! 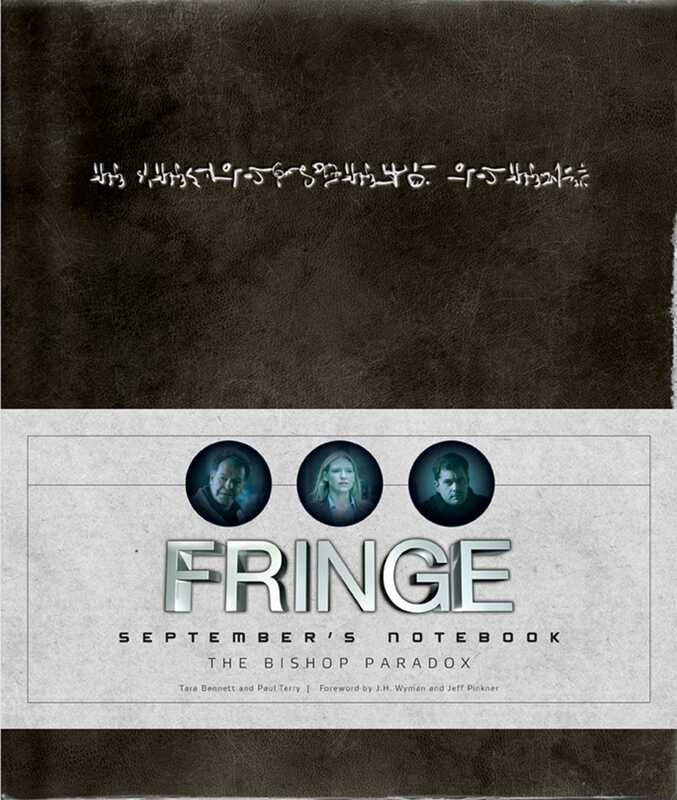 Fringe: September’s Notebook is a uniquely in-world collection that explores the intricate destinies of Walter Bishop, Peter Bishop, and Olivia Dunham. Gathered by the Observer known only as “September,” these pages reveal new truths about the Fringe Division and Massive Dynamic. The book also closely examines the Amber timeline and the alternate universe “Over There.” Packed with concept art, exclusive photos, and intriguing ephemera, September’s Notebook will satisfy every serious fan’s hunger for details about the Observers, quirks and little-known facts about each character, insight into Fringe Science, and much more. “Easter eggs” throughout build on the many symbols and codes woven into the show’s fabric, uncovering truths never before revealed. With its layered storytelling, well-rendered characters, and complex overarching narrative, Fringe is the ideal show around which to publish, and Fringe: September’s Notebook provides a totally immersive reading experience. Tara Bennett is the author of 300: The Art of the Film and official companions to television’s LOST and 24. She writes for popular outlets, including SFX, Sci Fi magazine, and Movies.com, and is an adjunct professor of film and television at Rowan University in New Jersey.